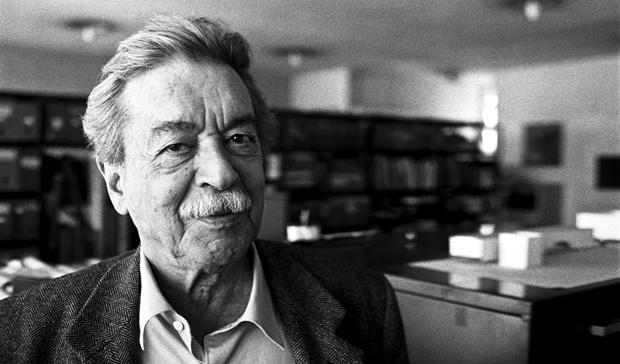 Paulo Mendes da Rocha is a leading Brazilian architect, celebrated for bringing a modern flair to Brazilian architecture through his innovative and ultra-modern designs. Paulo was born on October 25, 1928, in Vitória, Espírito Santo, Brazil. His father, Paulo Menezes Mendes da Rocha, was a renowned Brazilian engineer who also served as the Chair of the Naval and Harbor Resources of the Polytechnic School of the São Paulo University; while his mother was a daughter of Italian immigrants. His family moved to São Paulo when he was still a child. Paulo attended the Mackenzie University, and in 1954, he received his degree in architecture. Soon after his graduation, in 1958, Paulo took part in a national competition for construction of Clube Atletico Paulistano Gymnasium. Paulo won that competition, his bold and widely applauded designs for the Club Athletico Paulistano garnered him incredible fame, and his creative prowess came under the limelight. This marked the beginning of a successful and famed career. He began his career in 1955, Paulo opened an office in São Paulo, and also became associated with the Architectural Cutting Edge. In 1957, he developed one of his early major works, the Athletic Club of São Paulo. He joined the unconventional and progressive society, “Paulist brutalist”, and became an active member, advocating innovation and modernization of architecture. In 1969, he won the competition for the Jockey Club in Goiana. In 1969, Paulo Mendes da Rocha, along with Flavio Motta, Julio Katinsky, and Ruy Ohtake, was commissioned to design and build the Brazilian Pavilion for Expo 1970, which was to be held in Osaka. For the expo, Paulo designed a building that was erected on a single point of terrain, standing tall with bold magnificence. This expo marked his first international project, and it also marked the beginning of his international fame and clientele. He was signed up for countless international projects, including the renovation and enlargement of the University of Vigo, Spain, in 2004, and the Boulevard des Sports, Paris, in 2008. The following year, in 1971, he scored a finalist position in the design competition organized by the Centre of George Pompidou, Paris. Mendes de Rocha’s work is best known for his daring and elegant pieces of concrete and steel. A demonstration of his blend of modernism and grace can be viewed in his design of the Paulistano Armchair, which was supposed to be added to the furnishing in the living room of the Athletic Club of São Paulo. The chair was made by twisting a steel bar to create a chic and trendy sling chair that could extend the limits of structural form, with a leather seat and back attached to the bar. Despite its fashionable minimalistic design, the chair remained comfortable. Some of his globally acclaimed and best known works include the Museum of Contemporary Art at the University of São Paulo, the Forma Furniture showroom in São Paulo and the Brazilian Sculpture Museum.